Working in close partnership with the Church Times, the Jewish News and British Muslim TV we launched a nationwide search for 21 exceptional young faith leaders for the 21st Century. The project was endorsed by the Prime Minister and received national media coverage on BBC Radio 4. Over 100 people were nominated, and our 21 "winners" were announced by all media outlets on November 15th 2018. They will be honoured at a reception early in 2019. An opportunity for media professionals, academics and stakeholders from the various faiths to come together to celebrate and challenge religious broadcasting in all its forms on air, online and in print. The first took place on Tuesday March 27th 2018 at JW3 – it was so successful that we immediately booked our second festival which will be held Tuesday April 30th.also at JW3. The first festival featured James Harding former Editor of BBC News, Mark Thompson Editor in Chief of the New York Times, Dr Erin Saltman (UK Policy Manager for Facebook), Miqdaad Versi, Assistant Secretary General of the Muslim Council of Britain and screenwriter Frank Cottrell-Boyce. Next year’s festival will include a keynote speech from Lord Jonathan Sacks, Simon Terrington, OFSTED Director of Content Policy and James Purnell the BBC's Director of Strategy and Digital. We have been working closely with the artist Nicola Green who has spent the last 10 years photographing the worlds religious leaders including two Popes, the Dalai Lama, two Archbishops of Canterbury and the Grand Mufti of Egypt. Nicola created some remarkable images including life-size models. The exhibition was hosted at St Martin in the fields with a VIP launch on Monday 17th September 2018 followed by a lecture (the first in a series) given by Rowan Williams..
As well as Rowan’s lecture there is a subsequent lecture series featuring speakers including Justin Welby, Ben Okri, Jonathan Sacks, Neil MacGregor, and Rose Hudson Wilkin. A book accompanies the exhibition published byBrepols, entitled Encounters: The Art of Interfaith Dialogue. This book explores interfaith dialogue through the lens of the exhibition and set in a theological and art historical context. The publication includes contributions from academics, theologians and artists including Rowan Williams, Prof Aaron Rosen, Dua Abbas, Prof Ben Quash, Skinder Hundal, Dr Chloe Reddaway (formerly connected to CIP) and Sheikh Ibrahim Mogra. We have over the past two years developed an online religious literacy training programme with global giants EY. We are currently taking it to market through a series of executive seminars. Our Head of Programmes has been in negotiations with several major companies and has spoken about the programme on two occasions at the European Parliament. On Tuesday 8th November 2016, Ernst & Young launched our breakthrough online training programme Religious Literacy for Organisations at their More London HQ. The event was hosted by Senior EY Partner Kamran Malik and Professor Adam ]Dinham and outlined the content and approach of the course. Religious literacy is not about religious education, or about having more religion in the workplace, it's about having the confidence and skills to deal effectively and positively with religion and belief issues when they occur. Research has shown that recognising religious diversity within the workplace can improve recruitment and retention, and help maintain an inclusive culture. As Professor Dinham commented, "By demonstrating religious literacy, an organisation is signalling to all employees that the environment is a safe space to bring your 'whole self' to work". More than 60 people attended the launch, alongside faith scholars, dignitaries and EY clients, including representatives from No.10, the Metropolitan Police and the BBC, all engaging in this critical topic for organisations in both the public and private sectors. The other speakers were Sir Roger Gifford, a Coexist House Trustee, the UK Head of Skandinaviska Enskilda Bank since 2000 and former Lord Mayor of London in 2012-13 and EY’s Head of the National Equality Standard Arun Batra. Other notable attendees included Dame Mary Marsh, founder of Clore Social Leadership and Non-executive Director at HSBC, David Pollock, former President of the British Humanist Association and Dr Fiona Bartels-Ellis (OBE), the Head of Equal Opportunity and Diversity at the British Council as well as the Prime Minister’s adviser on religious affairs. The programme is now available through religiousliteracy@uk.ey.com. Professor Dinham and Sir Roger Gifford also appeared on Radio 4’s Sunday Programme on 13th November in a feature about Religious literacy in business. As Michael explained, "Religion is all around us and in order to be a cohesive and peaceful society we need to learn to respect each other's opinions and beliefs. Understanding how religion is important to so many people in our country and the wider world is a pre-requisite for us to Coexist. Once we understand each other we can move from mere tolerance to deep respect and enable religion to be perceived more as an asset than a liability. 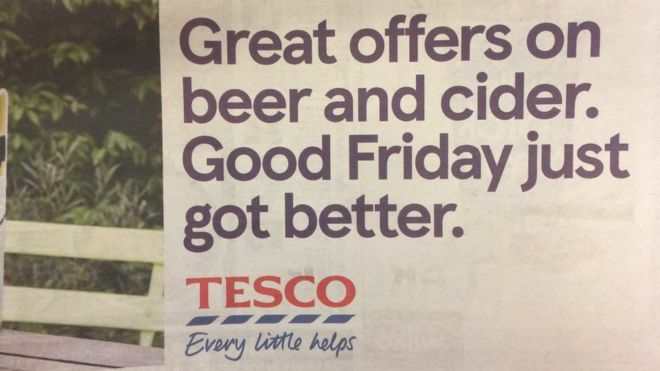 The Tesco advert revealed that there is a need for better religious literacy". Coexist House and the Cambridge Inter-faith Programme will be at The British Islam Conference on the weekend of 25-26 February 2017 to bring Scriptural Reasoning (SR) to a whole new audience. Now in its second year, The British Islam conference, organized by New Horizons, ‘promotes collaboration and thinking around the idea of a British Islam and encourages the development of British Muslim thought, identity and culture’. With over 40 high profile speakers and artists, and a keynote address by Karen Armstrong, this event is not to be missed! Coexist House is keen to take scriptural reasoning to new audiences as a means of encouraging better understanding between those of different faiths. It provides an opportunity to explore one’s own and other’s sacred texts, showing mutual hospitality and modeling ‘better quality disagreement’. As such SR is a perfect fit for the conference, which is an open space for discussions, debates and sharing ideas. "It's time of joint study across or around a table, the texts are read aloud, pored over, sifted, probed, challenged, and in this very process the people reading the texts together also find themselves being sifted, probed and challenged. Ideas are proposed and tested in relation to the texts, and are argued for and against by the participants. Risks are taken as interpretations are offered. Shared norms sometimes emerge and sometimes do not, but in both cases the participants are exposed to a greater awareness of their own presuppositions. Everyone simultaneously plays the role of a teacher and a learner. The texts are a sort of ‘host’ for the overall dialogue." Coexist House is proud to have worked with the Southbank Centre to develop a series of weekend events which will be delivered throughout 2017. The season called “Belief and Beyond Belief” explores the music, art, culture, science, philosophy, ritual and traditions that have risen out of religion in its many guises. The second weekend earlier this month focused on the relationship between science and religion with a keynote lecture on “The God of the Gaps” by Marcus du Sautoy, Professor of Mathematics at the University of Oxford, and Simonyi Chair for the Public Understanding of Science, a post previously held by Richard Dawkins. The Southbank have reported, “excellent ticket sales” to date. Next month, the festival looks at death, and dying traversing the sensitive and controversial issues around this subject. Various talks will through panel discussions explore different beliefs on what happens after death, the right to die: the assisted dying debate, burial rites: from Viking funerals to the present looking at the different ways people commemorate those who have gone before us, how we live with death, and whether a belief in a life after death makes a difference to how we live. A whole session will also explore ‘how to live’. A panel of experts and writers will draw on a broad range of teachings and philosophies to discuss what makes a good life and what we can do to make the most of here and now. Speakers include Nick Baines, Bishop of Leeds also known as ‘The Blogging Bishop’, and Sarah Bakewell, author of How to Live: A Life of Montaigne in one question and twenty attempts at an answer. Coexist House is delighted to be part of Stations of the Cross, an exhibition which is so far has spanned London and America and for 2017 will be taking place in 14 iconic locations in Washington D.C.
Coexist House is, for the first time, sponsoring an inter-faith space at the Greenbelt Festival. The Canvas tent will be a place of welcome for all in which Scriptural Reasoning with the Cambridge Inter-faith Programme features daily alongside a programme of other engaging talks, presentations and debates. Friends of Coexist House enjoyed a tour of the V&A's sensational Botticelli Reimagined exhibition, led by Coexist House Trustee Rev Robin Griffith Jones. The tour opened up themes of beauty and transcendence in Botticelli's art, in contrast with some of the more earthed commercial spin-offs of Botticelli's works in more recent times. Following on from two Scriptural Reasoning events which we staged for the British Museum as part of inter-faith week, Coexist House was given the opportunity to treat a group of partners and supporters to a tour of the Museum's Egypt; Faith after the Pharaohs exhibition. We were shown round by the exhibition’s curator Amandine Merat, who shared great insight and knowledge. The viewing was followed by breakfast and further conversation.